Forest fires near Eastmain, Quebec had a dramatic impact on air quality around here last week; I woke up hacking and wondering why. (Air filters to maximum!) The above photo, taken by the MODIS sensor aboard NASA’s Aqua satellite on June 28, gives some idea of the situation on the eastern shores of James Bay. (The photo also shows a brown-stained James Bay, the result of tannin-stained water from bogs spilling into the bay in spring.) 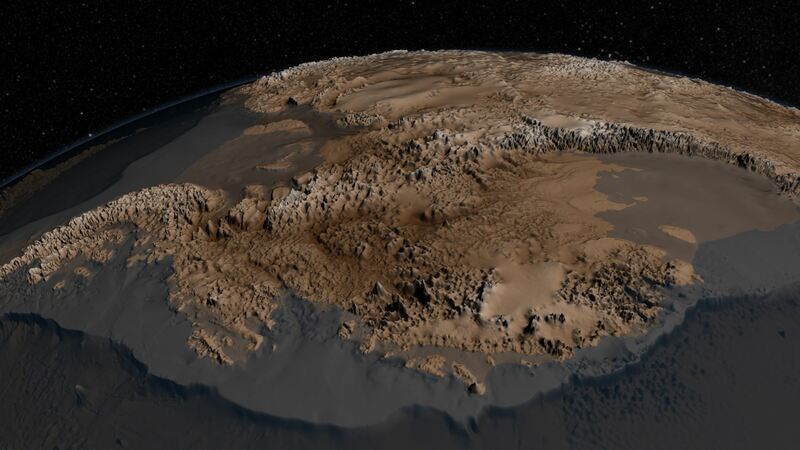 Image credit: NASA Earth Observatory. A new topographic map of the Moon from the Lunar Reconnaissance Orbiter: “Today the LROC team releases Version 1 of the Wide Angle Camera (WAC) topographic map of the Moon. 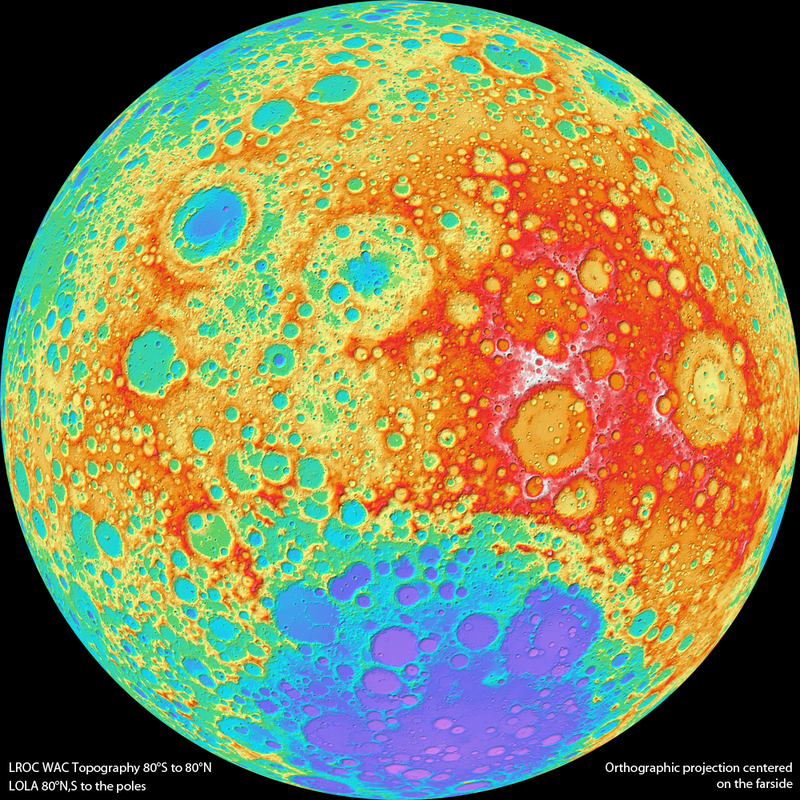 This amazing map shows you the ups and downs over nearly the entire Moon, at a scale of 100 meters across the surface, and 20 meters or better vertically.” Late last year lunar topo maps were released that were based on laser altimeter data; presumably the WAC data, based on stereo observations, is better. Image credit: NASA/GSFC/DLR/Arizona State University.